My friend Jaime made some cookies recently that were so yummy, I just had to get the recipe. They are called Brown Butter Sugar cookies, and I seemed to remember seeing something about them on the web from one of my blogging friends. It sounded curious, and I was excited to make them myself! 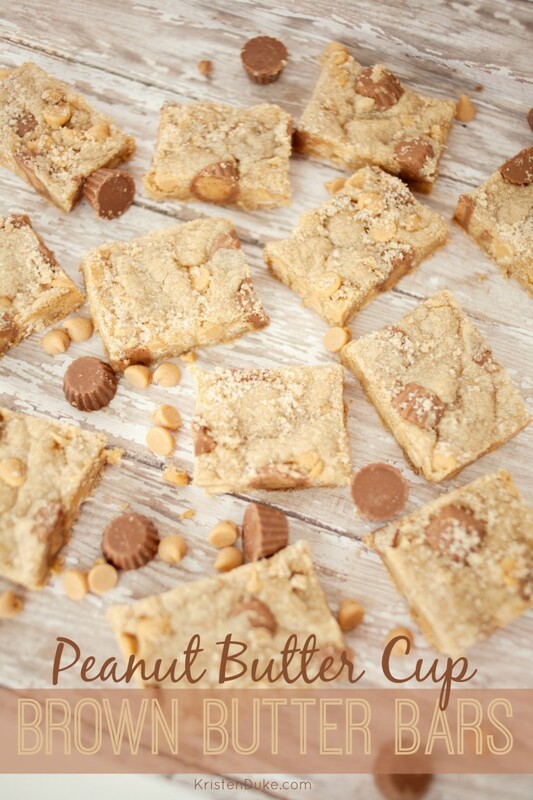 I added a little twist, so today I bring you Peanut Butter Cup Brown Butter Bars. 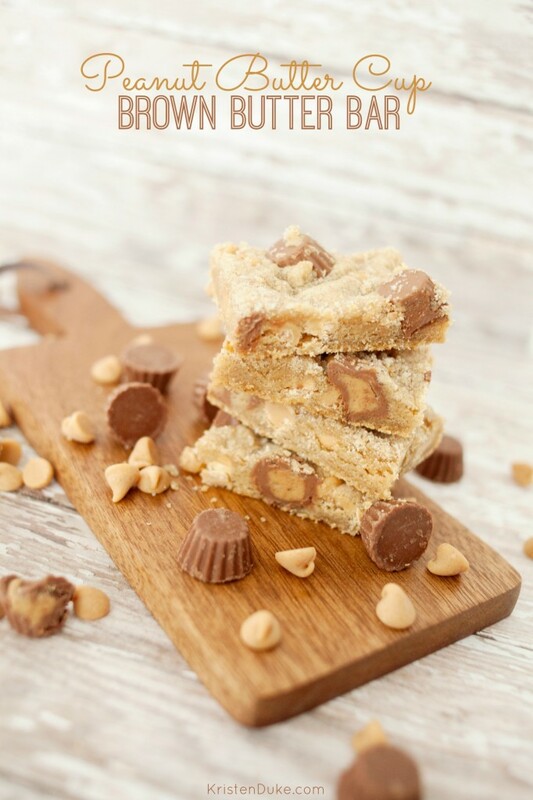 The secret to these delicious treats are not just dark brown sugar, but browning the butter on the stovetop before adding it to the mixture. It nearly caramelizes the butter. I like cookies, but BARS are really where it’s at for me. I don’t like edges, so the very center of the pan is my FAVE! 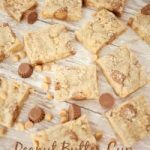 I’m also a big texture lover, so throwing in some mini peanut butter cups as well as peanut butter CHIPS made this even more divine for me. I’ll let the pictures, then the recipe do the rest of the talking. 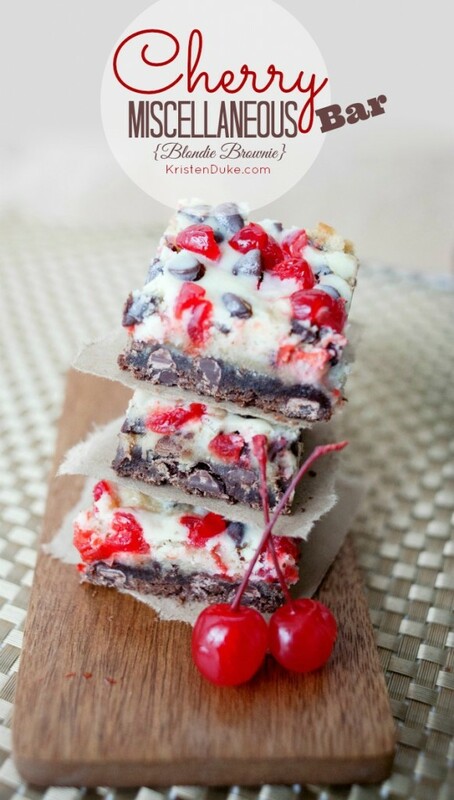 You can't go wrong with these delicious bars! In a small skillet, melt 10 tbsp unsalted butter. Scrape with spatula continually, until the butter gets foamy on top and the butter smell gets deeper. Cook until the milk solids begin to brown, 2-4 minutes. Transfer to a bowl, add the remaining 4 tbsp of cold butter, and set aside to cool, 15 minutes. In a pie dish, combine 1/4 c packed brown sugar with white sugar, rubbing with fingers to break up the brown sugar. Set aside. Add remaining 1 3/4 c brown sugar and eggs with cooled melted butter, along with vanilla and salt. Press mixture into square cake dish, spreading around until it's even. Sprinkle the brown sugar mixture over the top of the pan. Bake for 15 minutes, spinning the tray 180° halfway through. The pan may appear underdone, but you don't want it to overcook. 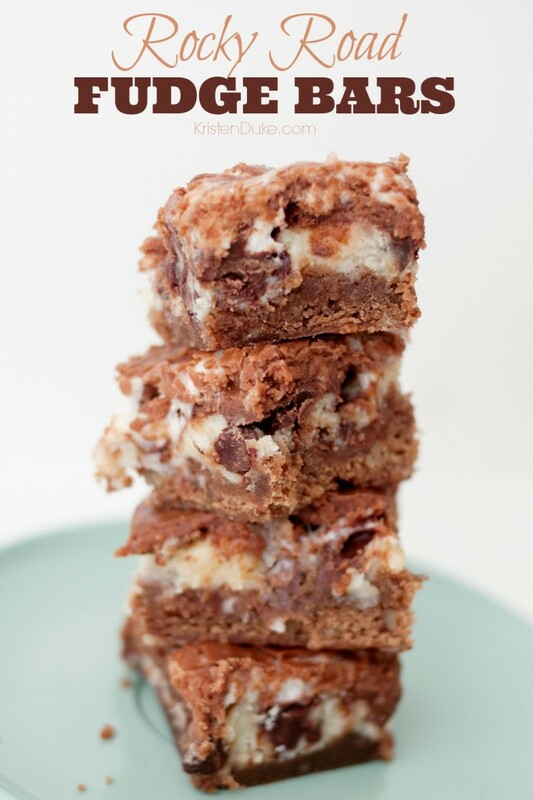 Have you tried making treats with browned butter before?